save the pennies this winter. While it might feel cold, the sun may still be shining. Keep your windows uncovered during these sunny spells so that the heat can make its way into your home. Just remember to close your curtains again once it starts getting dark. This will reduce the effect of those cold winter drafts. In some cases, it is wise to use a portable heater. This is especially true if your central heating lacks temperature controls or if you rely on storage heaters. Make sure to research which models are particularly energy-efficient. Also, if you mostly use just one room of the house, you can save on the cost of heating the whole home by using a portable heater in the room that you use the most. Just make sure to close all the doors to keep the heat in. Understand the heating system your home utilises, and be conscious of that system when making choices that will affect your personal finance. It is also worth considering that, for safety reasons, or because of the size of your home, it may make more sense to heat the whole house. Some heating controls will have a timer. You can use the timer to set heating times so that it only comes on when you need it. This is especially useful when you're leading a busy lifestyle and are always coming and going. If you heat your home via a gas, oil or electric boiler, it might be useful to look into getting a ‘smart' heating control. They can do a lot of good around the home in the colder season, from creating a heating schedule to automatically shutting off when you leave the house. Remember these ‘learning' thermostats can be expensive themselves, so make sure you get a good deal and practice budgeting resourcefully. Use Money Dashboard's budget planner to do this.  A lot of heat can escape around doors and windows. You can prevent this in a variety of ways. First, keep them locked. This will seal them tightly, reducing any gaps. Secondly, check the stripping that surrounds your doors and windows. If necessary, replace any bits that look worn or ineffective. Finally, while covering windows with insulating film may sound a bit odd, it can work towards eliminating heat loss. This temporary layer will work towards keeping you warmer and you can remove it when you no longer need it. Kits are available to purchase online. Prices can vary so always check to see which materials you can afford. 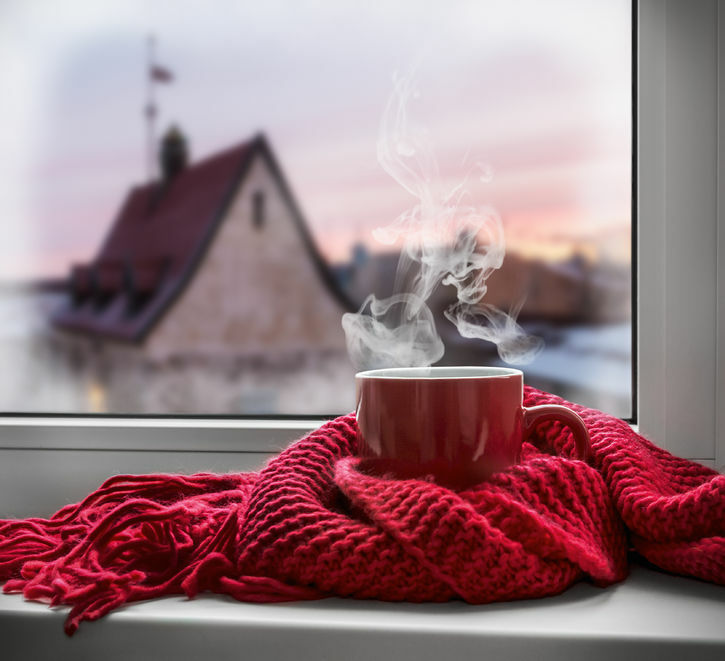  Insulating walls and lofts can eliminate the risk of cold weather creeping in and help towards cutting the costs of bills. Some energy providers may offer free insulation deals  check with them and see if you're eligible for this service. If not, consider insulating your home. Always make sure to check if you can work this into your budgeting.  There are lots of little ways you can keep the warmth in around your home. These include keeping radiators clear so that furnishings won't absorb their heat. It is also easy to forget that there may be various gaps in your walls that are letting cold air in. There could be gaps around pipes and electrical sockets, for instance. While these may have been filled in at the time of installation, the materials may have worn away. It's vital to check for holes around your home and give them some TLC by sealing them. The Energy Saving Trust affirms that reducing your heating by even one degree can help you save money on energy bills. You can compensate for this extra degree by wrapping up. Wear layers. Layering is important as thermal insulation is created between the layers of clothing. It therefore makes more sense to wear many layers of clothing, rather than just one thick layer. Remember to wear slippers or thick socks as well. Other things to have on hand are a hot water bottle and a cup of tea. With all these things keeping you warm and cosy, you'll be less likely to feel the drop in degrees. Make sure you're getting the best deal. Money Dashboard's personal finance assistant will help you see how much you're spending, and price comparison services will help you find the right energy deal for you. Switch energy suppliers or change tariffs if it means paying less. Some energy providers will offer discounted rates if you choose to pay by monthly direct debit, so keep that in mind.